1.2 Ultrastructure of Cells - Welcome to The Frog Pad! 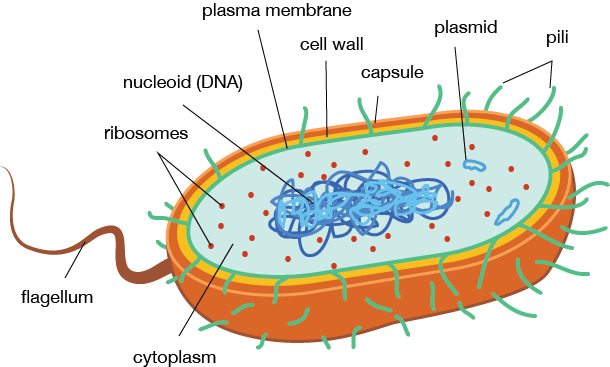 1.2.U1 Prokaryotes have a simple cell structure without compartmentalization. 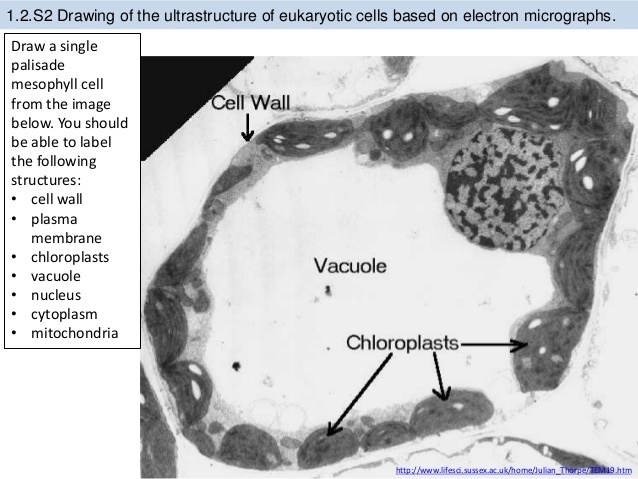 1.2.U2 Eukaryotes have a compartmentalized cell structure. 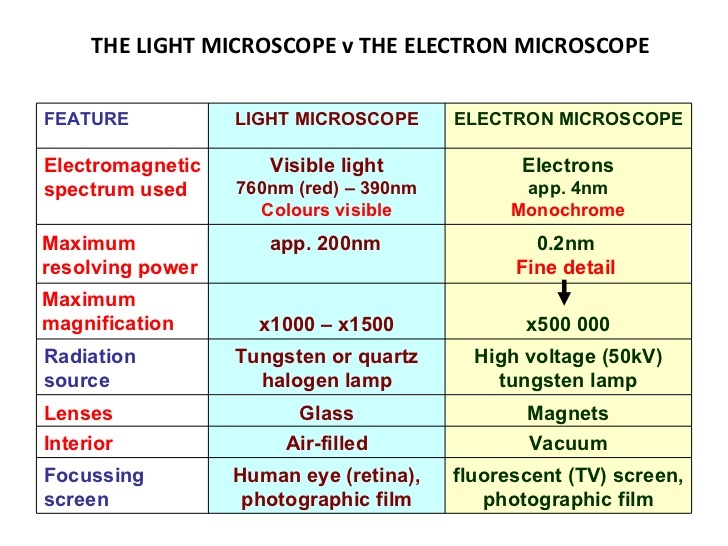 1.2.U3 Electron microscopes have a much higher resolution than light microscopes. 1.2.A1 Structure and function of organelles within exocrine gland cells of the pancreas and within palisade mesophyll cells of the leaf. 1.2.A2 Prokaryotes divide by binary fission. 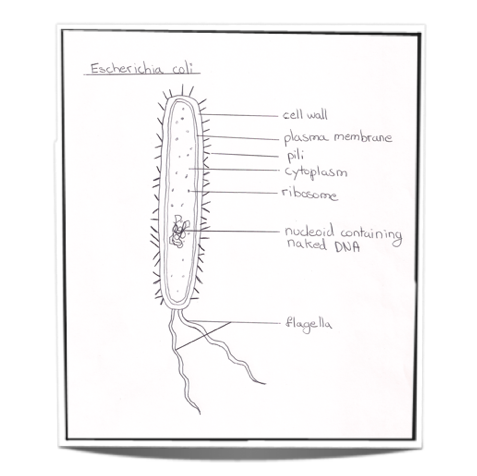 1.2.S1 Drawing of the ultrastructure of prokaryotic cells based on electron micrographs. 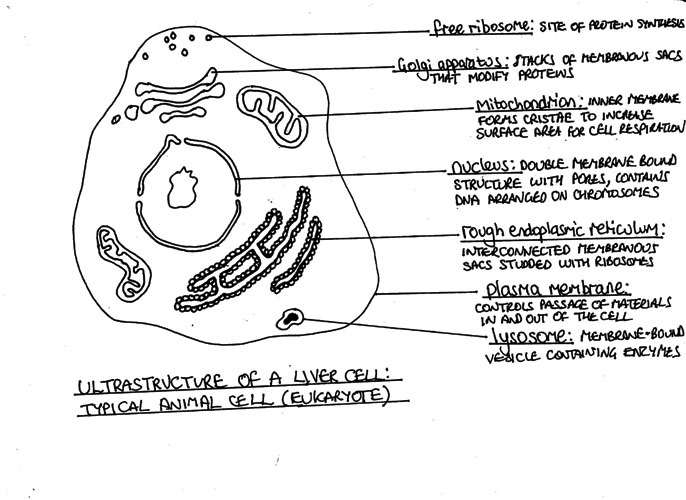 1.2.S2 Drawing of the ultrastructure of eukaryotic cells based on electron micrographs. 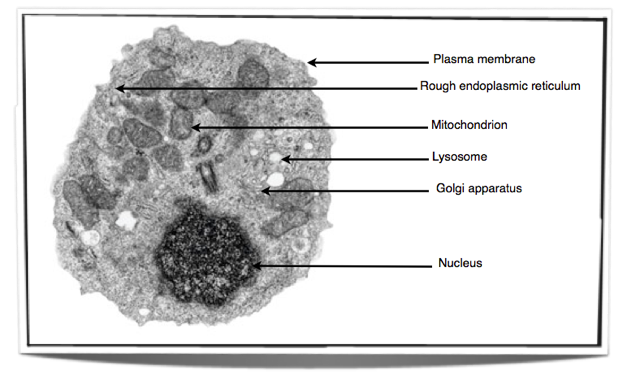 1.2.S 3 Interpretation of electron micrographs to identify organelles and deduce the function of specialized cells. 1.2 NOS 1 Developments in scientific research follows improvements in apparatus- the invention of the electron microscopes led to greater understanding of cell structure. The bacterium cell must copy its DNA so the new cells will have DNA. DNA or, deoxyribonucleic acid, has all of the information the bacterium will need to survive, so it is important it gets copied. The DNA is tightly wound so it is in a neat package called a chromosome. The bacterium now grows larger. This allows for some separation between the two DNA copies that are inside the cell. A division develops in the middle of the bacterium. This division eventually completely divides the bacterium in half. This is called cytokinesis. Each cell is now called a daughter cell and they separate. Free ribosomes within the cytoplasm produce protein that will be used internally within the cell. Ribosomes attached to the rER produce proteins that will be secreted. 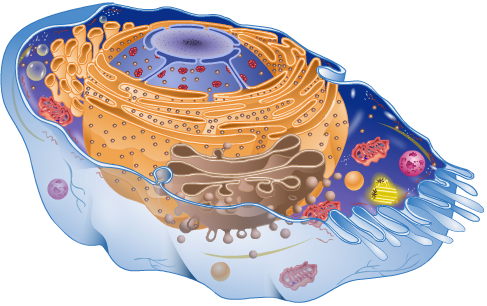 Organelle found in most eukaryotic cells that processes and packages macromolecules such as proteins. Proteins are usually modified for secretion out of the cell. Known as the control center of the cell. The nucleus regulates cell activities through gene expression. Contains the majority of the cell’s DNA. It is surrounded by a double membrane called the nuclear envelope, which has small nuclear pores to allow molecules to move in and out of the nucleus. Membrane-bound organelles that carry out aerobic cellular respiration to create ATP. Contain highly folded inner membranes called cristae which increase the surface area to enhance the mitochondrion’s ability to produce ATP (oxidative phosphorylation takes place here). Space enclosed by the inner membrane is called the matrix. This is where the Kreb’s cycle takes place. Contain their own DNA genome. Site of protein synthesis (attached ribosomes) for secretion out of the cell. 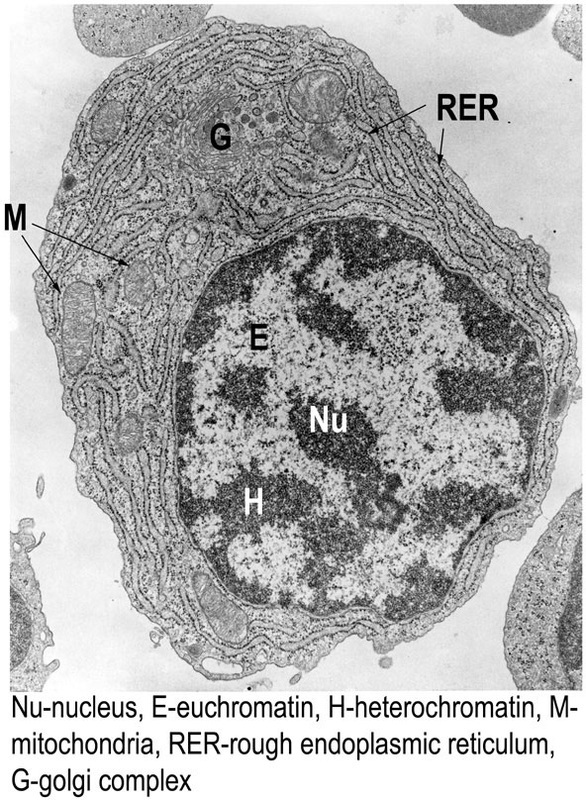 rER tubules are continuous with the outer layer of the nuclear envelope. Contains hydrolytic enzymes that digest worn-out organelles, food particles, and viruses or bacteria. Formed from the Golgi apparatus. Bounded by a single membrane. University of Utah's Inside a Cell - great graphics! Help drawing prokaryotic and eukaryotic cells - specific to IB. Mr. Anderson explains why cells are small and gives a "tour" of the cell. Good review!